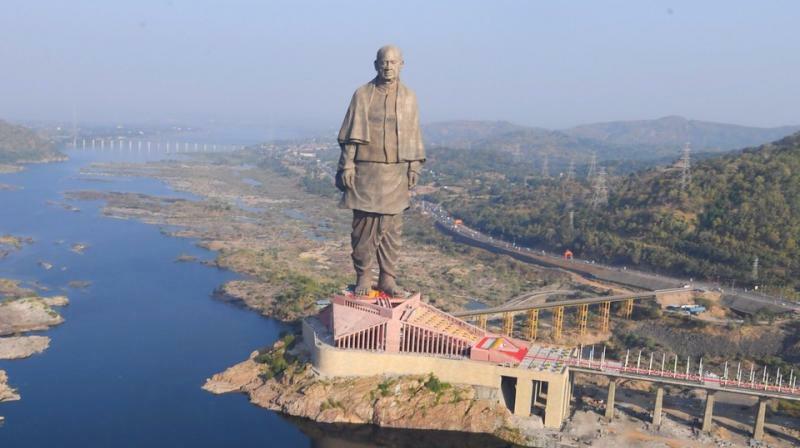 On Oct 31st, PM Narendra Modi inaugurated the world’s tallest statue, the “Statue of Unity” at Kevadia, Gujarat. The man who made our country India, out of 565 small and large princely states deserves not just the world’s tallest statue but several more accolades. The India that we bicker in, the India that we defend, the India that we love and the India that some of us hate wouldn’t have been around if the British had their way – they magnanimously offered the choice to the princely states to either join Pakistan or India or stay independent !! The division of a land that wasn’t theirs was being done on their terms. All those who sing paens to the colonialists, feel proud about their ability to speak English better than the English and serve the last English man’s family that has ruled India till May 2014, need to remember that without a Sardar Patel, there would have been no India to rule over for their favourite “chacha”. The non-pandit Nehru took on the job of bringing Jammu & Kashmir into the Indian Union and we are still doing it after 71 years. I was absolutely thrilled with the statue being built, not only because I am a fan of Sardar Patel and of our current PM, but because with this statue, India’s “puny” days are over. We, as a nation never had the guts to take on something massive and complete it in time, with quality output. My friend Arun called it out right when he said that Modiji has made Indians to believe in BHAG – Big Hairy Audacious Goals. Our massive temples were built thousands of years back, the Mughal monuments were again built hundreds of years back, but modern India didn’t have any visible non-scam ridden massive project. We did build dams, spectacular railway lines and a world class metro but this statue has got us associated with all things “mega”. The statue was built in just 3.5 years with iron collected from all over the country (unused farm tools). 300 engineers and 3000 workers helped build this massive statue. The sculptor is 93 year old Padma Bhushan recipient Shri Ram V Sutar. Now who wants to talk about age and ability ?? Shri Ram Sutar seems sprightly and fit at 93 than many of the “young” politicians who are against the statue :):). There is a viewing gallery, at a height of 153 m, that offers great views of the Sardar Sarovar Dam and can accommodate 200 people at a time. An interesting reminder about the Sardar Sarovar Dam – the foundation stone was laid by the first PM of India Mr. Nehru a month before Krishnan was born in 1961 and the project was completed and inaugurated by the current PM, Mr. Modi, in 2017 … a full 56 years later. So much for speedy completion of projects in India pre-2014. Next, the statue stands for unity – no other freedom fighter’s statue could stand for that except Sardar Patel. Finally we have atleast one name of an important contributor to the freedom struggle besides the Mahatma and his blue-eyed boy Mr. Nehru and am hoping we will see many other names. Third, the statue is a statement of Mr. Modi’s ability to execute a project, in time, scam-less, under cost and on a mega scale. Hate him or love him, the man can teach a thing or two to B-School gurus who talk of “execution”. Even the inauguration of the statue was world class and flawless. I cringe even now as I sometimes think of the commonwealth games held in Delhi in 2010 – what a shame and those men and women who brought that shame to our country’s name are still at large ! Suresh Kalmadi (of Prince Diana fame) is out of jail and even got offered a life president role at IOA. Shameful. The Statue of Unity has no scam attached to it – just a vocal section of the elite, left-leaning, English speaking Indians who don’t like Mr. Modi screaming about wasting money in a poor country. Dear fellow countrymen – India is no longer a poor country, wake up and smell the Coorg coffee or Assam tea laced with whatever fluids that floats your boat!! Hoping to visit the statue next year after Mr. Modi gets re-elected as the PM with a thumping majority and celebrate the victory there. Sorry HMVs, no hope in hell of getting the dynasty’s fourth generation dodo into that seat. Even the corrupt “khot-bandhan” doesn’t want him as a “leader”. BHAG India BHAG, towards a glorious future. A thousand salutes to the great man for laying the foundation for our nation. I took this picture from Deccan Chronicle’s posts on the internet.